This day, November 11th, is one of the most notorious in gaming history to contain the most saturated of high profile games released, and 2014 contributes to that trend without question, with the release of two brand new Assassin’s Creed titles, a special gift for Halo fans, the hitting of Sonic the Hedgehog’s reset button, and the return of the most praised tactical RPG of last generation. Can you wait until Black Friday for these, or is the HYPE too strong for you? But the big question of the day is this: A Spartan with a Battle Rifle vs. an Assassin with a Hidden Blade. Who would win? Le the flame war commence in the comments below. 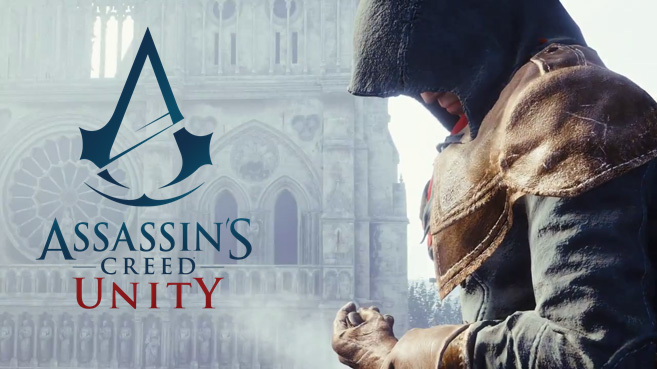 Ubisoft makes a fresh start in the Assassin’s Creed franchise with its first Next Generation exclusive title, in which players get to explore the streets of of Paris during the French Revolution of the late 18th century as Arno Dorian, a man birthed into the Assassin’s Order, and adopted by a family within the Templars when orphaned. Rising from the ashes of tragedy like past heroes Altair and Ezio before him, Arno joins the Brotherhood of Assassins, but the game’s story takes a strange turn involving the goings-on of the Animus’ powerful memory wielding technology. The game features a more detailed and interactive city than the series has seen before, as well as the incorporation of four player cooperative mode, customizable skill trees, more weapons than you know what to do with, which are also customizable, and a social aspect with taverns as a hub, where your friends playing the game appear as ghosts, much like other players appeared when playing Dark Souls connected online. Not really in a position to invest in a PlayStation 4 or Xbox One? Did Assassin’s Creed III not burn you enough that purchasing a new game isn’t out of the question for you? 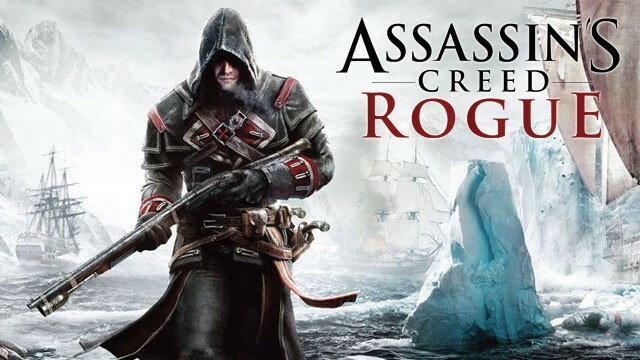 Look no further than Assassin’s Creed Rogue, the Xbox 360 / PlayStation 3 exclusive title Ubisoft is offering. You play as an Irishman Assassin-converted-to-Templar named Shay Patrick Cormac, in the heat of the French and Indian War of 18th century North-Eastern America. The game bridges the stories of Assassin’s Creed IV: Black Flag and Assassin’s Creed: Unity, as you explore, by both land and sea, the virtual length of the Appalachian River Valley from Alabama to Quebec. Black Flag’s naval gameplay returns, adding even more ship-based weapons options for your missionary work, but also the risk of enemies boarding your ship. Appropriate for Assassin’s work, the game also includes a silent air rifle, as well as not so subtle grenade launchers. 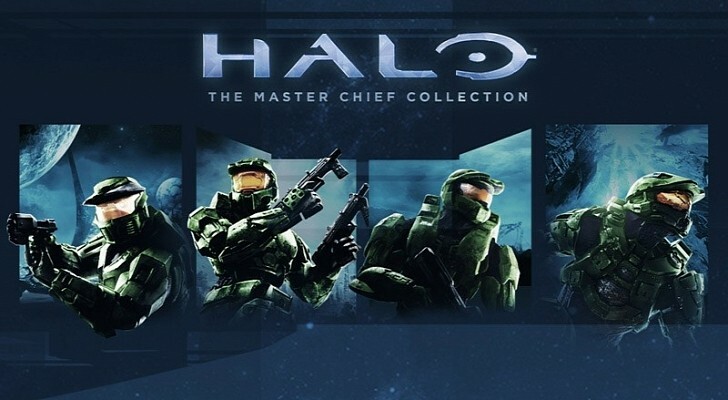 343 has truly outdone itself with its first Halo release on the next generation of Xbox with The Master Chief Collection. The disc comes bundled with complete versions of Halo: Combat Evolved (the anniversary edition from 2011), a newly revised, beautiful HD reproduction of Halo 2 for its 10 year anniversary, as well as Halo 3 and Halo 4, and revised multiplayer modes for each individual game, respectively on their own servers. If that wasn’t enough of a special package for fans of good ol’ Spartan John-117, the collection also comes with a subscription to the Xbox Live exclusive, live action series Halo Nightfall, produced by Ridley Scott and Steven Spielberg, and access to the Multiplayer Beta period for the new entry in the franchise, Halo 5: Guardians, which opens to the public on December 29th. Get on it, Spartans! LEGO Batman 3: Beyond Gotham stars Batman, other characters from Batman, and literally a total of 150 characters from everything related to the Justice League! The game takes an otherworldly turn and brings Batman to the realm of Green Lantern’s stories in the vast reaches of the galaxy, with space combat included as a first time addition to the series. 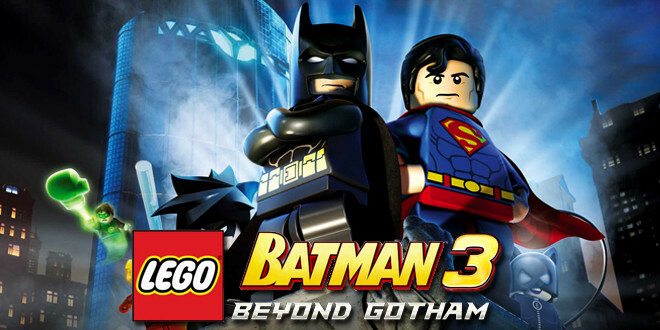 Like any other LEGO game, you can collect pieces, build, glide and blast bricks out of you way, and replay missions with cooperative modes and new characters once you’ve unlocked them, all within brick-built versions of Gotham City, the Hall of Justice, and the League’s Watchtower. 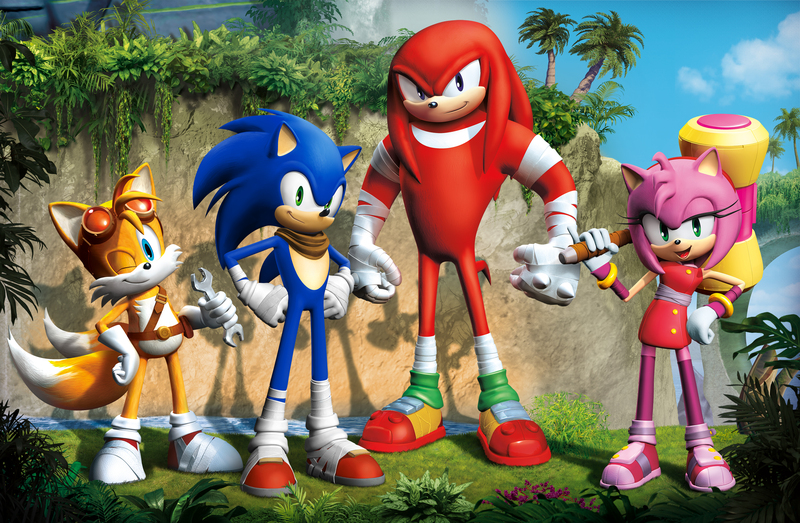 SEGA is rebooting the classic, fast paced series and taking the characters of the Sonic the Hedgehog franchise in a different direction with two new games entitled Sonic Boom, one portable for the 3DS, and another for the Wii U, in conjunction with a new animated series on Cartoon Network. Each game will be combat focused and allow players to switch between the four main characters, Sonic, Tails, Knuckles and Amy (Wii U) or Sticks (3DS), each of whom have specific abilities to assist exploring and racing through environments and taking down big bosses and Eggman. This Sega produced PlayStation 3 cult classic from 2008 is now available on Steam for play on PC. The game is set in a fictitious, anime styled Europe in World War II, beautifully rendered in Sega’s CANVAS engine. The Imperial Alliance of the east and the Atlantic Federation of the west are at war, and the nation of Galla is caught in the crossfire, and the player takes control of Galla’s forces in a Tactical RPG format in which they are tested in a unique system of battle called BLITZ (Battle of Live Tactical Zones), blending Map based strategy, troop movement, and individual soldier targeting in a praised blend between turn based RPG and Action RPG. 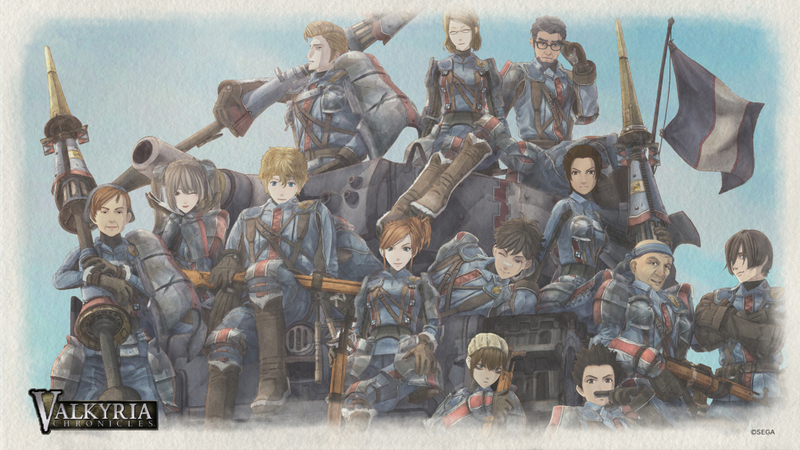 Valkyria Chronicles was lauded by critics as the absolute best in strategy gaming in 2008, and even in the years since. Previous ArticleAlbum Review: Azealia Banks - "Broke with Expensive Taste"